You might be surprised to know that many of your most common skincare problems can be treated with products your probably have in your kitchen cupboard. Save yourself shopping time, dollars, and worries about dangerous ingredients by trying the natural route first. Chapped lips. Are you ready for winter? Cold, dry air means dry, chapped lips. Skip the sticky Chapstick and stinky Carmex. Choose coconut oil or olive oil – with a clean finger, swipe some on and then rub your lips together. Dry, cracked cuticles. Is there anything worse than cracked and bleeding cuticles? It’s just not possible. This remedy is very similar to the approach to chapped lips. Treat your sore fingertips to some tropical coconut oil. Massage into the cuticle areas just before bed. For extra softening, wear cotton gloves overnight. Dark under-eye circles. Some of us are literally born with them, some of them are earned by burning the midnight oil, and no matter how you get them you’ll certainly want to get rid of them! Dark circles can make you look tired and older. Try teabags, an old time-tested remedy. Steep two black or green teabags in warm water. Squeeze them so they aren’t dripping, lie down comfortably, and place one bag over each eye for at least 10 minutes. The tannins will help constrict any dilated blood vessels, and as the teabags cool they will help reduce puffiness. Tired or dull complexion. Sometimes the simplest tips are the best. In the case of a face that needs a quick pick-me-up, try an ice-cube facial. It may sound like a form of mild torture, but gently running an ice cube over your face has an amazing effect on increasing circulation, meaning an instant rosy glow. Find a thin handkerchief or cloth napkin and wrap an ice cube. Wait a few seconds for the ice to melt a bit, then glide the cold surface over your cheeks, nose, forehead and witness a more youthful you in the mirror. 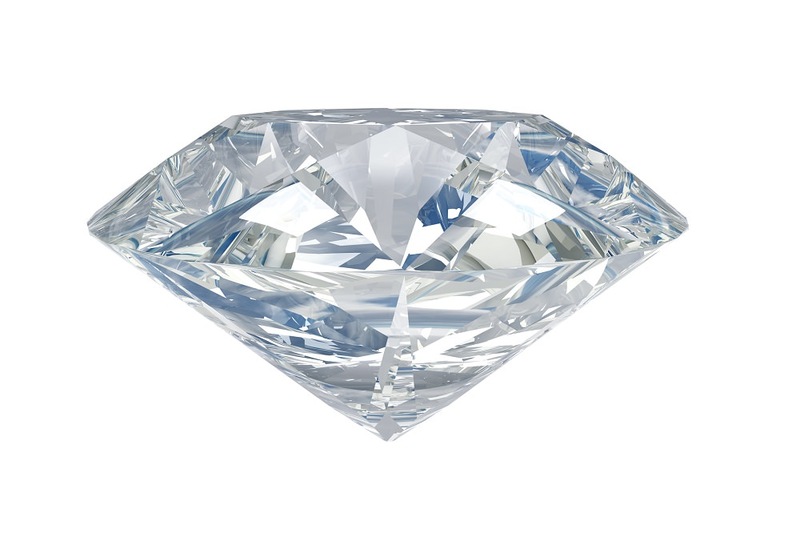 In many ancient cultures, people believed gemstones could deliver a wide array of health benefits. 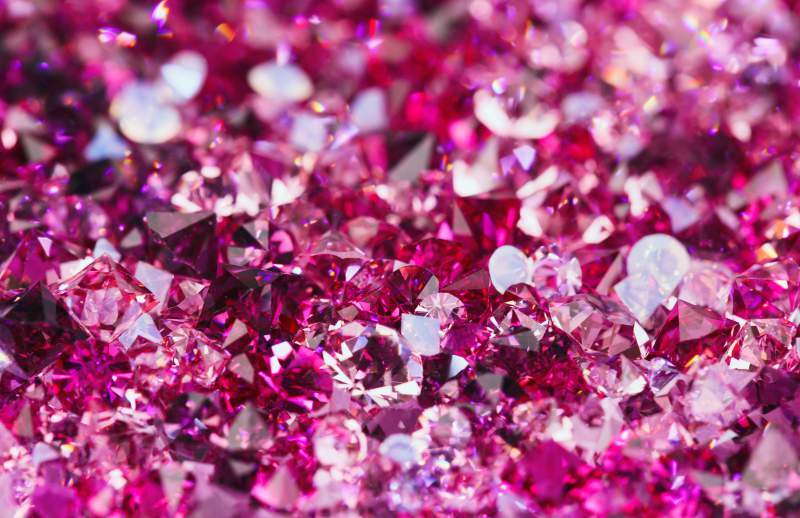 Today, of course, gemstones are mainly used in jewelry. There are still those who believe in the health bonuses you can reap from certain gemstones and minerals. 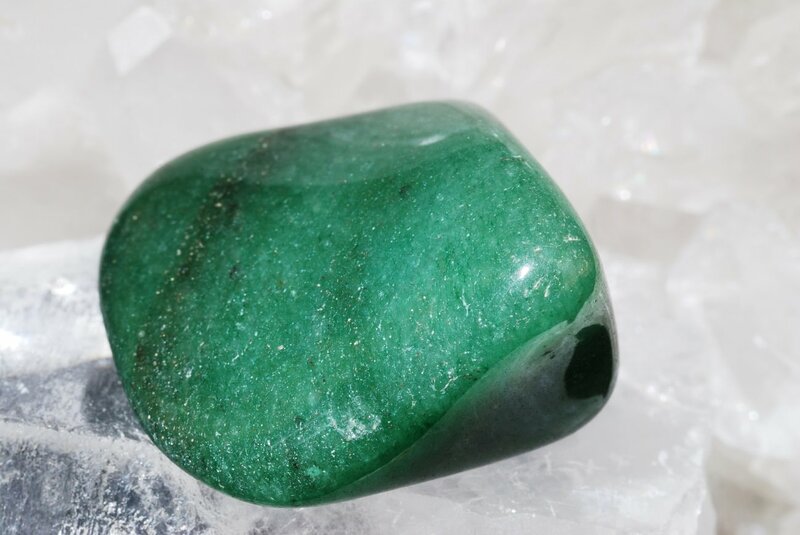 People can use gemstones as a tool in spiritual practices, to restore energy fields, to achieve peace, and even to attract love and increase personal safety. 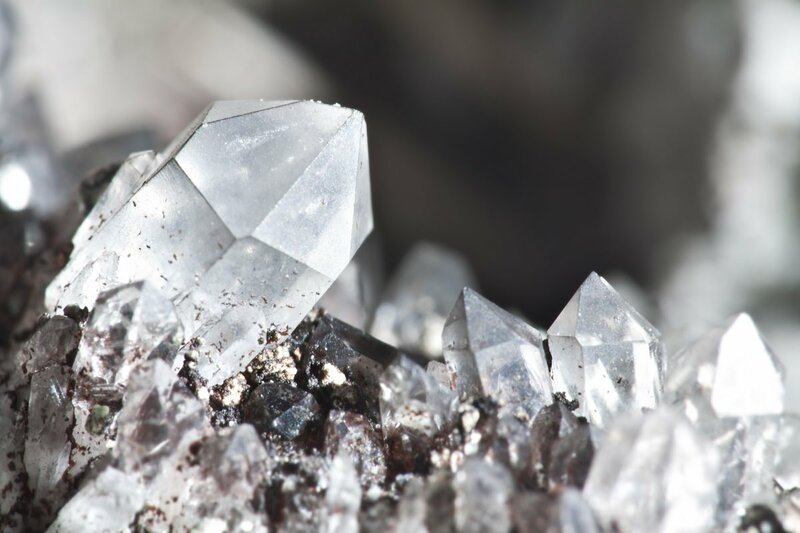 In some belief systems, gems are placed on particular areas of the body, called “chakras,” and allowed to rest there in order to promote physical, spiritual, and emotional healing. Using gemstones for their health benefits can also be as simple as wearing a piece of jewelry made with a specific gem – thereby potentially providing ornamentation and better health at the same time. Cool blue aquamarine is a cooling stone in more than one way. Aquamarine can cool anger and fear. This gem also cools down (alleviates) the symptoms of skin conditions such as eczema, hives, allergic rashes, rosacea, and psoriasis, and it may also help prevent outbreaks of herpes. Removing the aggravating factor or factors and supporting physical calming will naturally result in smoother skin surface. This makes it ideal for men to use in their shaving routine. Read this review on Beauty News NYC about the Aquamarine products line from Kristals Cosmetics. 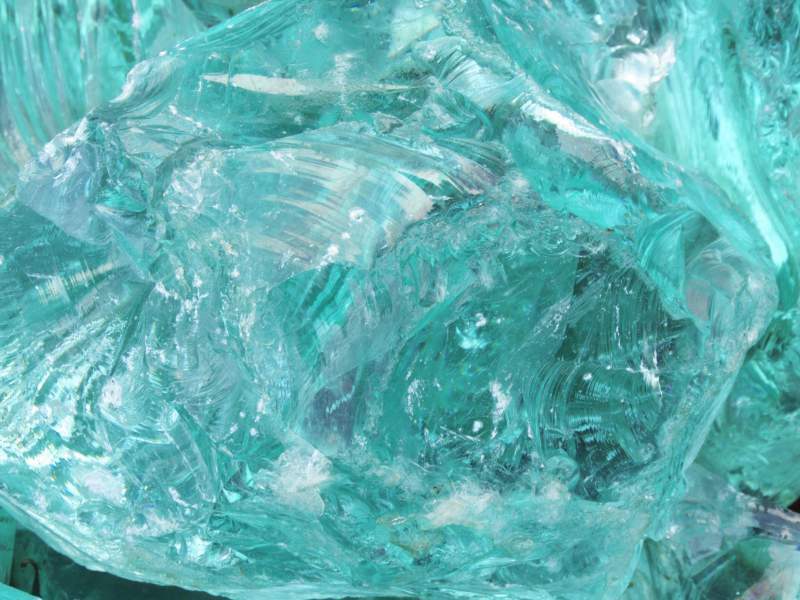 Aquamarine supports the healing of inflammatory skin diseases of all kinds. 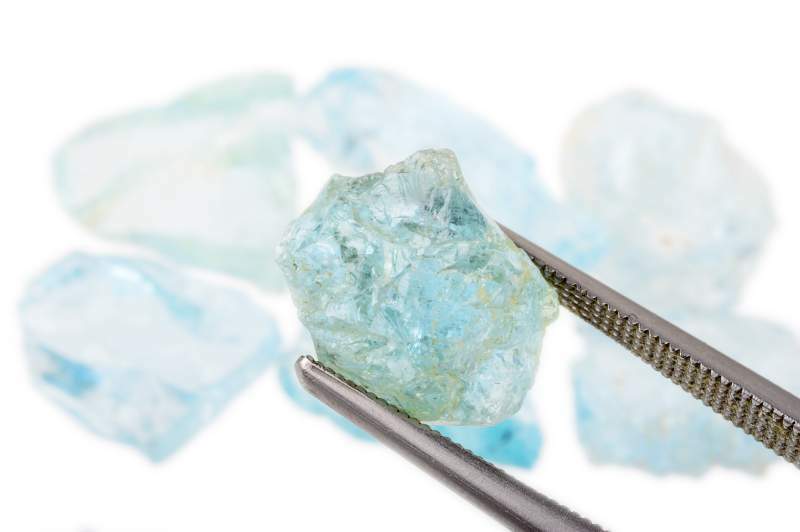 Other skin diseases caused by allergies may be cured by aquamarine, and use of this gemstone can complement the treatment for shingles. To use this gemstone and bring its skin-smoothing powers into your life, try choosing a piece of aquamarine jewelry that you can wear every day, like a ring or a pendant. If you prefer not to wear your aquamarine, you could purchase a raw stone, not too small, to carry in your pocket or purse. You could also shop for small sculptures or other decorative items made of aquamarine or incorporating some aquamarine into the design. Place the item close to where you spend the most time – your desk, in your car, next to your bed, or even in the kitchen. Every time you touch or see your aquamarine, take a moment to meditate on the smooth, healthy skin you are hoping for. Choosing skin care products labeled “all natural” over other products on the shelf that do not make that same powerful claim, may or may not make a difference to your skin. If you really want to get smart about natural skin care, you need to know more than just the clever marketing slogan for the products you choose. First, realize that skincare enthusiasts should not necessarily assume that an “organic” or “natural” ingredient or product is inherently safer or more effective than another chemically identical version of the same ingredient. In fact, “natural” ingredients may be more susceptible to contamination and bacterial growth. The bottom line: Some (but not all) synthetic ingredients are to be avoided, as are some (but not all) natural ones. 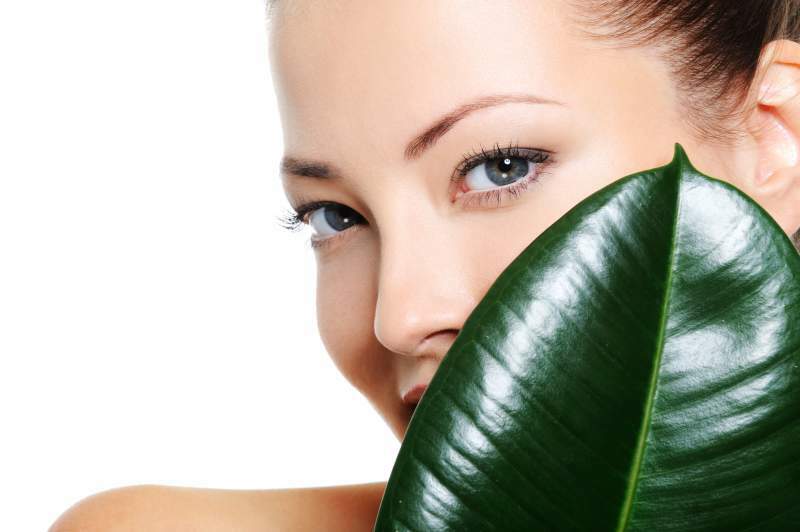 Natural skin care isn’t just about the products you use. It’s also about your lifestyle habits. If you are trying to increase the health and appearance of your skin, see where you stand on these behaviors, and then try to incorporate all three of them into your daily routine. Drink pure water. If you don’t already have one, install a water filter at home and carry filtered water with you. Exercise enough to glow. You don’t need much, but you do need it every day. Half an hour with brief spikes in intensity is all you need to boost your skin’s health. Kick the sweet tooth. Sugar leads to high levels of glucose and insulin in the blood, which have been associated with acne breakouts. 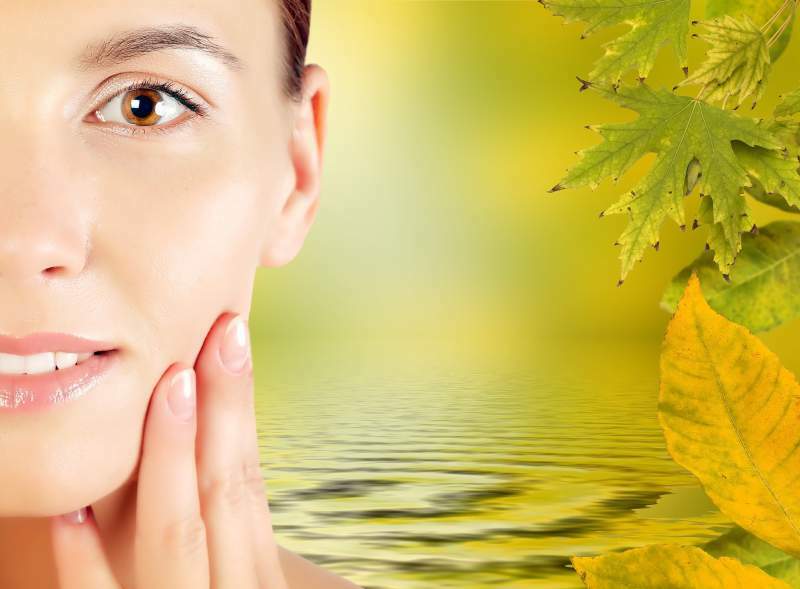 Sure you can go to the local pharmacy or big-box store to find modern remedies for practically any skincare ailment that might arise. But wouldn’t you feel better about yourself, your budget, and your planet if you make use of all-natural products, right in your own home, and right from your own cupboard? Apple cider vinegar. This fruity condiment is great on salads, but it can be an ally against acne as well. Try using it on a cotton pad in place of a toner and feel the tightening effects on your pores. Apple cider vinegar is also useful for treating dandruff. Mix equal parts vinegar and water in a spray bottle, then spray your scalp after showering and let dry. Honey. Instead of purchasing a complexion mask in a plastic tube or shiny foil package, go to the pantry for your pampering. Before your next shower, slather some honey on a clean face and leave on for 15 minutes. It will wash right off with warm water, and you’ll be treated to a moisturized, smooth face. Oatmeal. If your skin seems dull and you feel the need for exfoliation, try oatmeal. Pulse store-bought oats (not the instant kind) in your blender once or twice. Mix the miniature flakes into a squirt of your regular cleaner and apply to your face using a circular motion. Sensitive skin will love this treatment. Granulated sugar. Wanting a more aggressive facial scrub but want to skip the skin-damaging walnut or apricot hulls in the drugstore brand? Try adding a small amount of granulated sugar to a little of your facial cleanser or liquid body wash (aim for about equal amounts) and rub in circular motions over your face, arms, legs – really, anywhere you’d like to smooth out. Coconut oil. Commercial makeup removers contain solvents and other chemicals to dissolve the oils and pigments in cosmetics. Try a small blob of organic, raw coconut oil (you’ll find it in the baking or oil area in a well-stocked or natural grocery store) instead. Use your fingertips to warm and soften the coconut oil, and then gently rub into the skin and eyelashes. Just as gently, use cotton pads to remove. You can wash with cleanser after this or leave the coconut oil on overnight as a moisturizer.